Everyone gets in the spirit! Saturday, July 20, 2019 --- Race Starts at 7:45 a.m.
On Saturday, July 20th, the 5th Annual Hemingway 8K Running of the Bulls (4.97 miles) race event will commence at 7:45 a.m. adjacent to Scoville Park. This is a family friendly event that draws from the Oak Park area and beyond. This community event brings out hundreds to participate in the Running of the Bulls 8K race. The race is a flat, fast 8K-race course featuring the Hemingway District area, historical homes and Scoville Park, We will be awarding age group awards for top runners and a cash purse so we are sure to attract quality runners of all ages. So come on out, and enjoy the fun as we celebrate one of our own, with the Running of the Bulls! Get a taste of Hemingway adventure by running with the bulls in Scoville Park! Starting at 9:00 a.m., children (ages 3+) will decorate a cardboard “bull” to run with on a fun run around Scoville Park, beginning and ending at the war memorial. Bull, decorating supplies and ice water provided! Presented by the Ernest Hemingway Foundation of Oak Park. You can register your children on this site. All participants will receive a poly/combed ring spun combed cotton/rayon, soft style race shirt. Check the sizing chart to be sure your shirt will fit well. Bull pace leaders will be available to keep you on pace and help you achieve your goal. While we can't have leaders for every pace, you can find them for the most popular paces. Bull Pace team leaders will be in place approximately 15 minutes before the start of the race. So commit to a time goal, look for the horns, find your bull who will be identified with a finish goal time, and GO! Have fun! 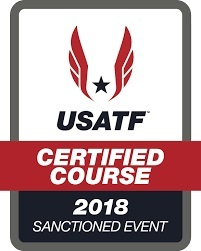 The course is flat, fast and USATF certified. View the course map. Help us reduce our carbon footprint by carpooling, using public transportation, or riding your bicycle to the event. To determine the best route to travel via public transportation, use either the CTA or Metra websites. CTA’s trip planner at http://tripsweb.rtachicago.com. The race is adjacent to the Oak Park stop on the CTA Green Line. We are also adjacent to the Metra Union Pacific West Line-Oak Park stop (The Oak Park station lets out onto North Blvd, the race is about 8 blocks east following North Blvd) You can view a schedule at Metra’s web site: http://metrarail.com. There is a 535 spot parking garage at 720 N Boulevard; it can be accessed driving north via Oak Park Avenue and turning right onto North Boulevard (keep in mind Oak Park Ave and Lake Street will be blocked off) There is a nominal charge for parking in the garage (roughly $1/hr.). In addition there is on-street parking just south of train tracks/on South Boulevard. Please look for no parking signs and DO NOT park along the race course. Bicycle parking is available at the race site near the start/finish area in Scoville Park near Library or along North Boulevard near the train tracks. 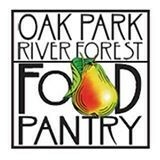 Our race event supports the Hemingway Foundation of Oak Park and the Oak Park River Forest Food Pantry organizations. Celebrate your achievement with a some well deserved food and refreshments adjacent to the finish line area. Awards will be given out for overall, age group and special H8K spirit winners. Gear Check will be available adjacent to the start line from 7:00 a.m. to 10:00 a.m. Please pickup all checked gear by 10:00 a.m.!! No deferrals of entry to future years are permitted. No transfer, sale or attempted sale of entries is permitted. These include requests due to injury, pregnancy, surgery, personal circumstances and professional commitments. Because of safety concerns strollers, bicycles, roller-blades, skateboards nor leashed dogs are not permitted on the race course. Runners must have a Hemingway 8k bib visible at all times.